I am a Cinemalaya virgin. Yes. I am not proud, but hey, there's a first in everything. :) I'm glad I heeded Melai's invitation to attend her friend's advance screening. I didn't know what to expect, I didn't even google what the movie was all about. I remember asking Melai, "Is the movie about animals in general?". Haha! I brought Mich to the event since she's also a movie junkie...like me. Upon entry into the reception area I already saw a few familiar faces, Direk Joey Reyes, Ogie Diaz, Carina of Styles, and some other important film people and reporters. I felt honored to be there! :) I also didn't know how intimate the screening was until we finally got inside and saw just 5 rows of seats. I love it. Here are photos starting with my outfit that night! Anyway, back to the movie! So basically, the story tackles the life of rich teenagers living in Alabang. I wouldn't provide spoilers (coz you might kill me haha) but the attack of the movie is quite head on, pure reality, no cover ups. There are disturbing scenes (as iiin) and a shocking ending. I'm not an expert movie critic but I love how the film was presented and the "approach". The actors and actresses also portrayed their respective roles with passion and intensity. 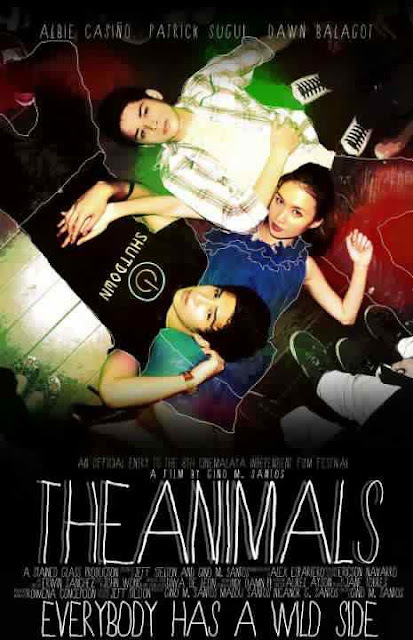 For The Animals' extensive review, click HERE! with Melai, the director Gino Santos (middle), and award winning directors Mr. Brilliante Mendoza & Sir Joey Reyes! Congratulations to the whole crew for a successful screening! :) And here's another Cinemalaya movie I really wanna watch! MGA MUMUNTING LIHIM (Those Little Secrets) is a film about friendship. It is about the solidity of bonding among people who have known each other for years. It is also about the fragility of friendship --- and how you can never claim to know somebody in his or her entirety? An entry in the Directors Showcase of Cinemalaya 2012, Mga Mumunting Lihim is a film written and directed by Jose Javier Reyes, produced by Largavista Entertainment. 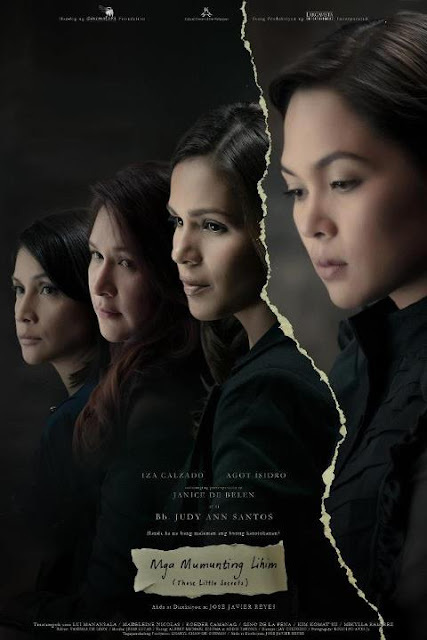 Starring in the film are Iza Calzado, Agot Isidro, Janice de Belen and Judy Ann Santos as the four female friends whose lives changed because of one significant event that almost shattered the chain that linked their lives together. This is Reyes’ first indie movie. And by casting the best and finest of mainstream stars, Reyes hopes to share the opportunity to do the kind of work that commercial filmmaking does not have the liberty to accommodate. At the same time, this was the opportunity of the four lead actors to do roles which they would not have otherwise done in their commercial projects. View complete Cinemalaya schedules HERE and HERE. the color of the blazer is gorgeous! I love everything that is yellow during the summer! TAWANG TAWA AKO SA IS THIS ABOUT ANIMALS IN GENERAL HAHHAHAHA!!!! Gondo ng outfit!!! Pinakita ko kay Mommy ko 'to, sabi niya "peg!!!" Hahahaha benta!! Huhu ako rin Cinemalaya virgin. Jusme!! Makanood na nga asap!